To prepare for her career in dentistry, Yeshani earned a Bachelor of Dental Science from the University of Western Australia in 2011. She felt inspired to become a dentist because she would be able to help patients in small and significant ways whilst working in healthcare. Yeshani’s experience made her realise that dentistry could be an exciting and fulfilling profession. Yeshani frequently takes continuing education courses to keep abreast of the latest in the dental field. She views dentistry as a constantly changing field due to evolving technology and a profession where you can always improve. In addition to the technical side of dentistry, Yeshani enjoys the interpersonal aspects as she enjoys meeting new patients. It’s gratifying for her to convert patients into people who no longer have dental anxiety and even become friends with them over the years. Yeshani also enjoys being able to work in an environment where you can laugh with your colleagues and patients. 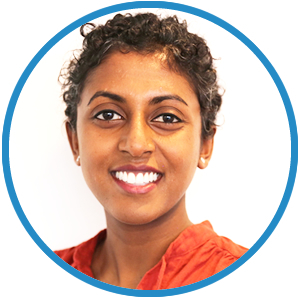 When she’s not tending to the oral health needs of her patients at Ranford Road Dental Centre, Yeshani enjoys bike riding with friends on the weekend and gorging on big breakfasts afterwards. She also likes to spend time with her family. Travelling, exploring and eating all things that are “naughty and delicious” are her other main interests. Schedule an appointment with Dr Chandraweeera today!